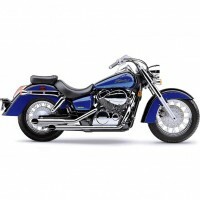 If you want a full system then you have come to the right place! Here you will find the so-called full systems, where you change the entire exhaust system from the manifold / cylinder and all the way back! 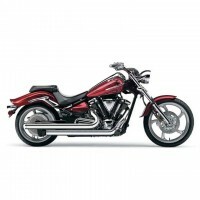 This is a unique system with it's aggressive slashcut tips and full-length heatshields. 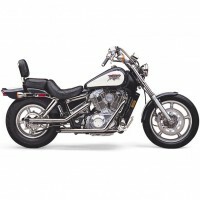 Honda..
With it's 3-1/2 inch muffler bodies, the Classic Deluxe Exhaust delivers a deep, mellow sound. 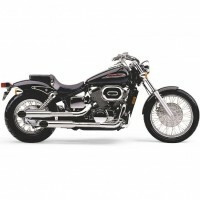 Pur..
Add just a bit more attitude without sounding like an invasion. Just a bit louder than stock but w.. The long-term popularity of Honda's Shadow 1100 has left many an industry watcher wondering--but Cob..
Cobra has exhausted the possibilities with the Honda Spirit, a revised Shadow 1100 with enough grunt.. 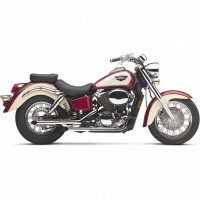 Traditional Drag Pipes are always a sure stylistic choice for this classic cruiser. 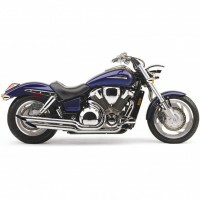 Like its ..
Cobra Drag pipes are about as simple as an installation can get. With a great sound and traditiona.. 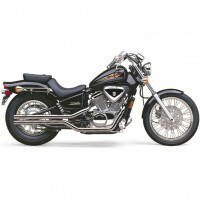 Perfect update to traditional drag pipes; maintains clean, pure drag-pipe appearance Full-lengt..
As elemental as an exhaust system can get and still not offend your neighbors. 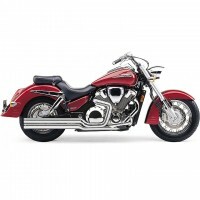 Removable baffles s..
Power Pro with an industry-first 222° 2-into-1 heat shield system HP Features chromed 95.3 mm (..
Honda's incredible six-banger Valkyrie remains unchanged and totally unrepentent. 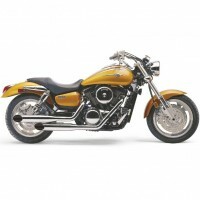 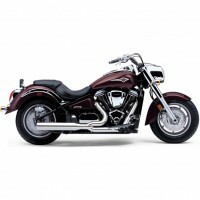 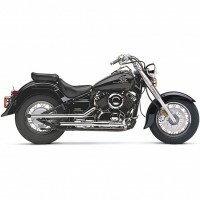 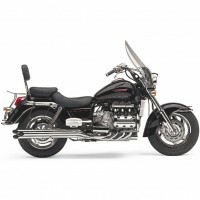 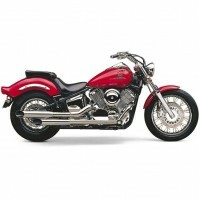 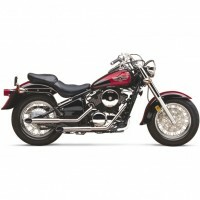 The Gold Wing-deri..
Speedster Exhaust with PowerPort PowerPort increases power and overall performance similar to wh..